By extrapolation, this would mean that every time we increase the requirements by 10%, we need to double the total development time ! That would mean that solution complexity is an exponential function of the complexity of the problem. We can see that small values of C are best for small problems, whereas greater values are evolve better with larger problems. For a given problem, there is quite a difference in the solution complexity, if the formula was true, and that we knew in which zone of complexity our problem will always be, we could choose the appropriate technology ! Experienced engineers already have the gut knowledge about how to chose the right tool for the job ! I increased the maximum problem complexity by a factor of 3, I had to multiply the solution complexity by 100 ! 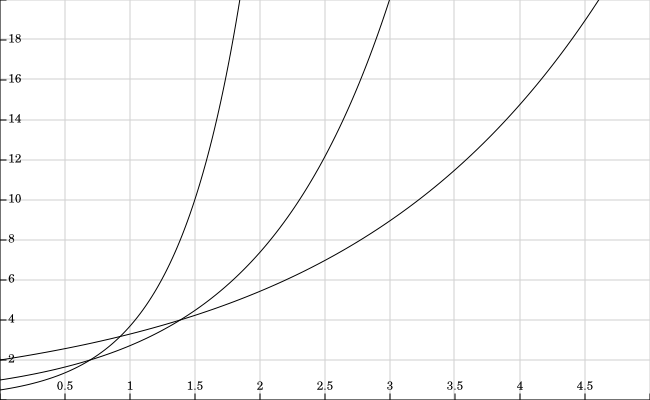 In the end, these exponential curves all seem frighteningly vertical. This could explain why the divide and conquer approach works so well in software : 2e^x < e^(2x). Abstract and powerful APIs might be our best weapon against complexity. 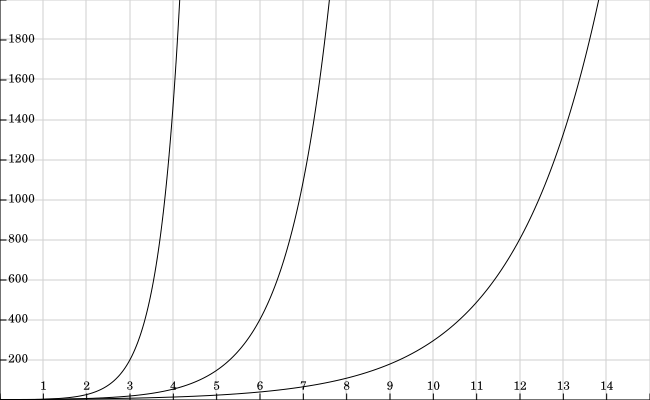 Is my exponential model complete garbage ? Or are humans particularly bad at forecasting an exponential behaviour ? If so, what practices could we adopt to stop relying on this misleading gut feeling ?